Chemotherapy treatment regularly leads to hair loss, which is why patients often say yes to a device called a cold cap that can reduce shedding when it is offered by their clinic. But because success rates vary, a British nurse is helping to form a global registry to understand what works and to establish new “best practise” guidelines. The drugs used during chemotherapy cause hair to fall out because after entering the bloodstream they can attack healthy cells as well as cancerous ones; cold caps take the temperature of the scalp down to just above freezing and in doing so dramatically slow down the flow of blood to the scalp. The net result – when successful – is that follicles can avoid being damaged and hair loss minimised. Given the variety of variables when it comes to cold caps and cancer treatment – including different brands/models, variations in the way they are used, different types of cancer and a wide variety of chemotherapy drugs – Annie Young, Professor of Nursing at the University of Warwick, has recognised that the gathering of data pertaining to all of these will help show when treatment works best. 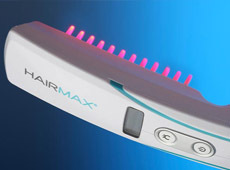 She is now working with an organisation named CHILL (Cancer-related Hair Loss, International Leadership and Linkage) to help establish a global database that will gather information about cold cap treatment and which will be able to inform healthcare professionals who want more information about how best to use the devices. The University of Warwick website notes that the CHILL registry will amass information on the type and dose of chemotherapy, infusion time and post-infusion cooling time, as well as patient characteristics such as age, hair thickness, BMI and whether or not they smoke. The CHILL registry will be funded by the makers of the DigniCap Scalp Cooling System and also British firm Paxman, one of the best-known makers of cold caps in the UK with devices in more than 250 hospitals and clinics. These systems work by freezing the scalp to deter chemo drugs from reaching the hair follicles and thereby preventing baldness from anagen effluvium. In the coming years, more-targeted cancer drugs are likely to appear as medical science advances, meaning the sometimes rather “scattergun” approach that can describe modern chemotherapy treatment is replaced by a range of new drugs that are able to hone in on tumours without affecting the rest of the body. A new drug named Keytruda (pembrolizumab), for example, has shown itself to be remarkably effective at treating certain types of cancers by using genetic information to seek out and attack tumours in the body. As a result, hair loss is not one of the drug’s listed side-effects, though temporary hair thinning is possible as the body adjusts to the new medication. Losing hair during cancer treatment is always extremely difficult for people with the disease, and cold caps have certainly been a comfort to many. What’s worth pointing out, however, is that hair loss following a cancer diagnosis is always a possibility irrespective of treatment, cancer type or cold caps because of the emotional and physical stress that it can place on the body. Stress is a common cause of hairloss; it can lead to a condition known as Telogen Effluvium which causes thinning hair all over the scalp, rather than the baldness associated with chemotherapy hair loss. While it is usually only a temporary issue, with hair growth restarting naturally within around six months, treatment available from a specialist hair loss clinic can often help to speed up recovery times. 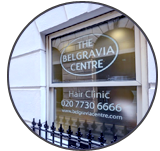 For any cancer survivors wanting to investigate hair loss treatment once they are in remission, this is often possible but Belgravia does require written confirmation from their oncologist that they are suitable, prior to any treatment being prescribed.